Skegness Town host Grimsby Borough Reserves on Saturday - looking to reclaim top spot in the Lincolnshire League. The Lilywhites have not been in action for the past two weekends, which has allowed Hykeham Town to leapfrog them in the standings. But Nick Chapman’s side will be looking to move back into first place with a return to winning ways at the expense of sixth-placed Borough. After Harrowby’s request to drop out of the league and a waterlogged pitch at Market Rasen, Town haven’t been in action sicne their 8-0 drubbing of Nettleham, which booked their place in the final of the Mason Bros Lincs Junior Cup. Skegness now trail Hykeham - who are away at Brigg Town Reserves this weekend - by a solitary point, but have four games in hand on the new leaders. Borough have also been without a match since February 11, when they left Louth with a 5-0 win. Kick off at the Vertigo Stadium will be at 3pm. Saturday sees Skegness United continue on their quest for silverware. 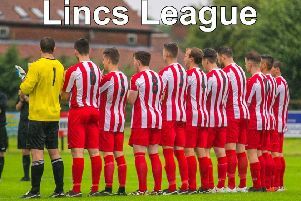 The East Lincs Football Combination Division Two winners, who wrapped up their league campaign with a 5-1 victory over Sutton Rovers at the weekend, host Grimsby Borough Development in their semi-final of the Town Trophy. The matcn will kick off at 1.45pm, with a venue to be confirmed.